Freddie Mac announced Tuesday that it has obtained a number of insurance policies under its Agency Credit Insurance Structure (ACIS) in an effort to reduce risk to taxpayers in mortgage loans and further expand risk-sharing initiatives beyond capital markets. The announcement comes one week after Fannie Mae announced it was expanding the role of private capital in the mortgage market by transferring the credit risk on a pool of loans from taxpayers to a panel of domestic reinsurers. 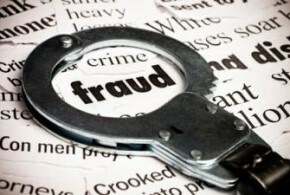 CoreLogic's latest Mortgage Fraud Report, released Tuesday, shows a 3.2 percent year-over-year increase in fraud risk among mortgages in the U.S. in the second quarter of 2014, as measured by the Mortgage Application Fraud Risk Index. 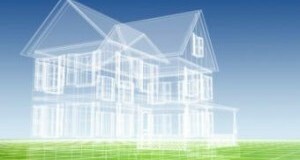 The Federal Housing Finance Administration (FHFA) is working to expand availability for mortgage credit in an attempt to give the housing market a lift, and is also working on ways to mitigate risk to GSEs Fannie Mae and Freddie Mac, FHFA director Mel Watt said in a speech delivered on Monday. Residential real estate valuations provider Pro Teck Services has announced the addition of Arny Epstein to its Strategic Advisory Board. The Office of the Comptroller of the Currency (OCC) announced on September 2 that it has published final guidelines for large financial institutions regarding the strengthening of governance and risk management practices for those institutions. The Office of the Inspector General (OIG) for the Federal Housing Finance Agency (FHFA) released a report Tuesday highlighting the risks associated with banks that have traditionally serviced mortgages backed by Fannie Mae or Freddie Mac selling the rights to service troubled mortgages to non-bank servicers that specialize in handling them. The Office of the Comptroller of the Currency states explicitly in an October 2013 bulletin guidance for risk management that it "expects more comprehensive and rigorous oversight and management of third-party relationships that . . . could cause a bank to face significant risk if the third party fails to meet expectations."